I just ordered a Bedrail Bike Rack from Softopper. I had recently picked up their Soft Top and was impressed. 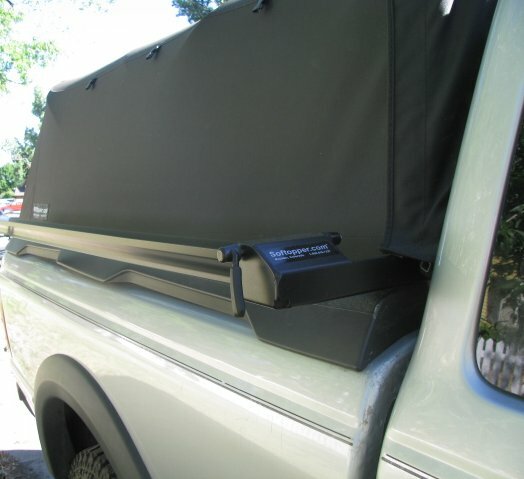 I wanted to have a way to transport the Long Haul Trucker and have room to place items in the bed of the truck. With the top up, the Bike would not roll into the bed.. not enough head room. So the company has a bedrail rack. 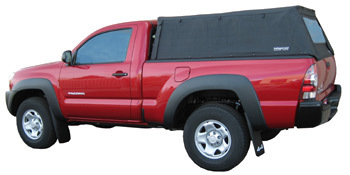 This may be a good solution to bike transport and leave the truck bed free to transport other items... or to sleep in. I will update when the rack is installed and tested. 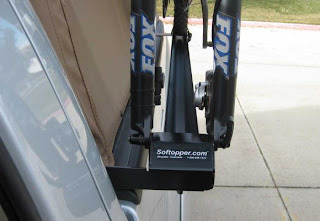 the soft topper works great... so I am anticipating their rack will also. I was able to install the BedRail Bike rack in about 30 minutes. Since I had the Soft Top already installed, I un-tighted the clamps holding the soft top rails and slide the BedRail rack under the rail and re-tightened. I added another "J" hook to the front of the rack to add another bit of attachment to the bed of the truck (but that may have not been necessary). The unit is very secure on the truck. Next came the true test, putting the LHT on the rack. I needed to remove the Axiom LowRider Pannier mounts to attack the bike fork to the BedRail rack but that was easy enough... just one more step. 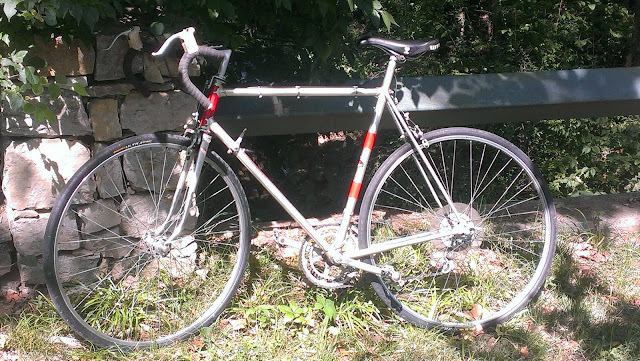 With the Bikes front fork secured on the BedRail Rack, and the rear wheel firmly in place with the ratcheting strap that is provide, I took to the highway. No issues..... Now I can transport the bike and have the truck bed free to transport other items. Very Pleased.